For a truly memorable winter event, join us at the most intimate and unique venue in the Roaring Fork Valley. 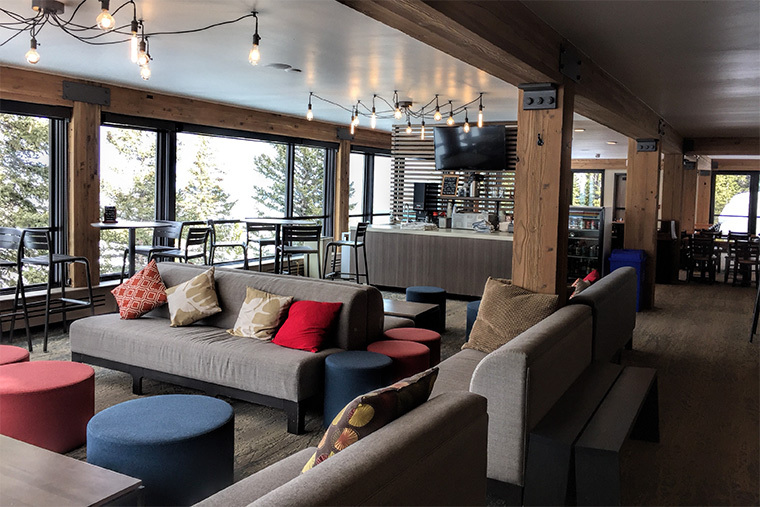 With views from the 10,461 ft. Gwyn's High Alpine restaurant, design your ceremony looking up at the Snowmass Cirque ridge line, down valley to Mount Sopris, or across to the peaks of the Elk Mountain Range and beyond. Guests can ski in or be transported after hours in our open-air snowcat. After the ceremony guests can enjoy cocktails around the fireplace in our magnificent entry bar or look over the valley in our relaxing downstairs lounge bar just off our spacious deck. Reception choices are also numerous with intimate seating for 100 guests under vaulted ceilings in Gwyn’s fine dining room or, for larger groups, take in the stars under our famous glider upstairs with seating for 120-150 and plenty of room for dancing. Let our Chef create the perfect specialized menu for your party and finish the evening with a custom built cake from one of our classically trained pastry chefs. It is sure to be the evening of a lifetime. For more information and to see the catering menu, please download this pdf flyer. To discuss specifics, please telephone us at (970) 923-5188 or use the contact form below. Thank you!